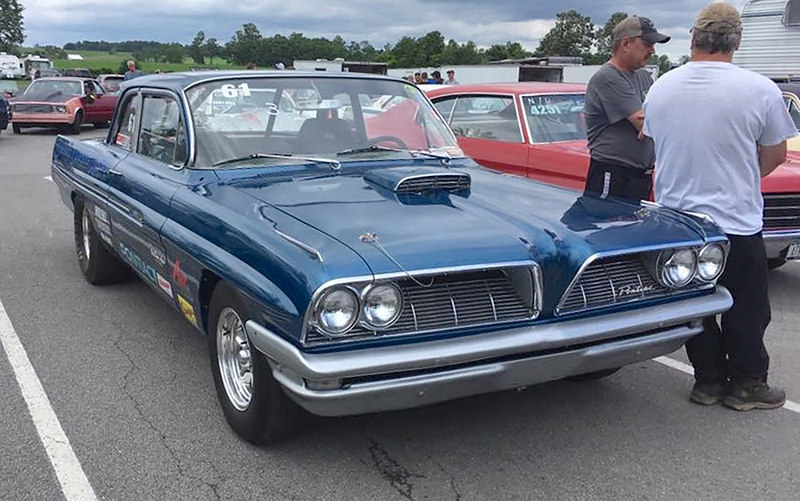 This 1961 Pontiac Catalina was sent in by RealRides readers Doug and Judy Snow of Lockport. Under the hood is a Pontiac 455 V8 connected to a Turbo 400 transmission. Doug runs in the low 11’s in the ¼, and the low 7’s in the 1/8 in area nostalgia drag races (below). This photo was taken earlier this year in Leicester, which is east of Batavia. See a couple of photos of the car in action at buffalocars.com.